Pakistan, officially the Islamic Republic of Pakistan, is the 6th most populous country in the world. It has an area of 796,095 sq km. It is a country in South Asia and has 4 provinces (Balochistan, Khyber Pakhtunkhwa, Punjab, and Sindh). The country’s capital state is Islamabad. Both Urdu and English are its official languages. Urdu is its national language. The Pakistani currency is known as the Pakistani rupee (PKR). 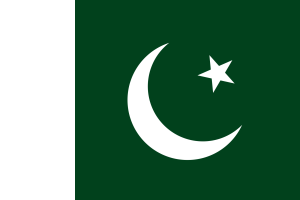 The citizen of Pakistan is called a Pakistani (singular) or Pakistanis (plural). It has four (4) bordering countries that include India, Afghanistan, Iran, and China. Malaya Yousafzai – defied the Taliban in Pakistan and demanded that girls be allowed to receive an education. She was shot in the head by a Taliban gunman in 2012, but survived and went on to receive the Nobel Peace Prize. 20. Pakistan also made history with the youngest civil judge in the world. Mohammed Ilyas passed the exam when he was 20 years and 9 months old and thus became the youngest civil judge in the world.